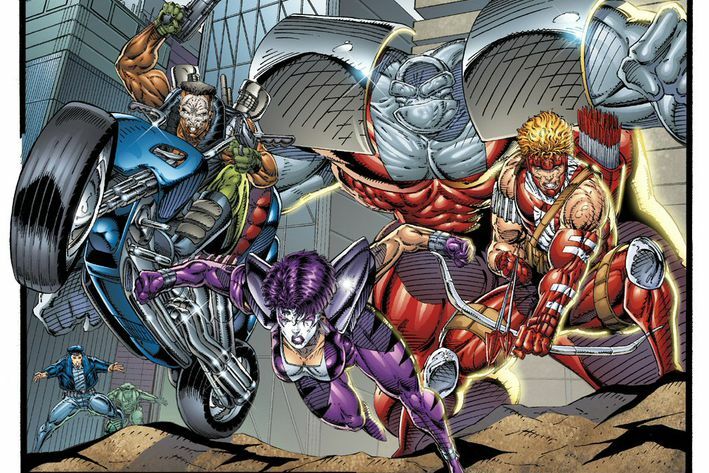 Twenty years ago this man, Rob Liefeld, had several books with characters in them that were blatant rip-offs of Marvel Comics characters (Wolverine, Deadpool, and Cable mostly) and a plethora of female characters, some with impossibly large, and gravity defying chests, while others looked as if they had bowling balls shoved in their costumes. He just relaunched an old title, and I flipped through it, hoping it would be somewhat better, an improvement on his artistic flaws/creative licensing. Nope. Still the same anatomically incorrect characters, and for a second there I thought I had been taken back in time to 1995. Phew! Point is, if you’re going into the comic art business, do not use this guy’s art as a reference. How he still gets paid is beyond me, terrible art.